Sometimes you surprise yourself by putting together two pieces you had never thought of pairing with each other before and finding a look that you really like. 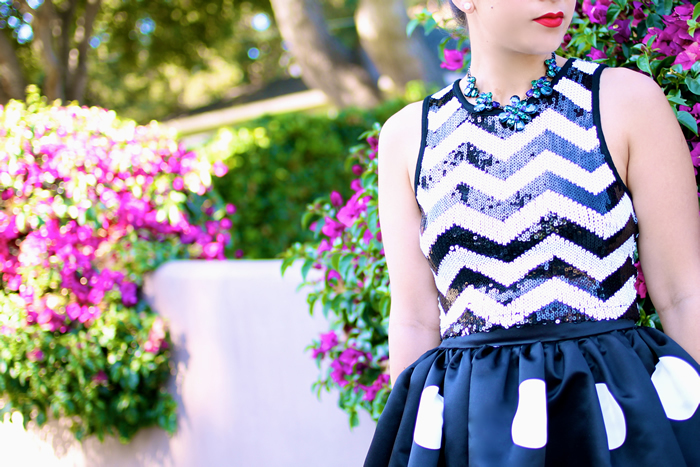 I’ve never been shy about mixing prints but I have to admit, I never thought about chevron + polka dots. The two prints are lovely separately but when combined, it somehow reminds me of either a toddler’s outfit, a table cloth, or an iphone case, all of which has never really been a style inspiration of mine. 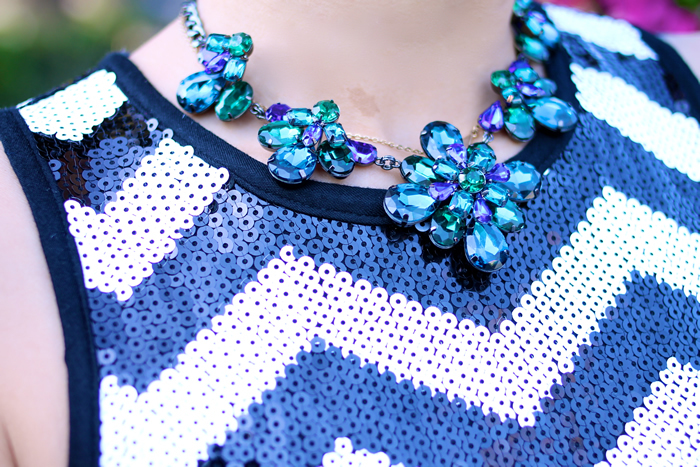 :) But when I was frantically digging in my closet for a top to wear with my polka dots midi skirt on Saturday night, this chevron sequin top fell next to to my polka dots skirt and instantly the combination gave each other life! It’s really a fun and bold look, perfect for a holiday, a dinner date or whatever occasion you set your heart on! I haven’t done a contest in awhile so I thought it’d be fun to giveaway one of my favorite skirts to one of my longtime readers (or a new reader)! 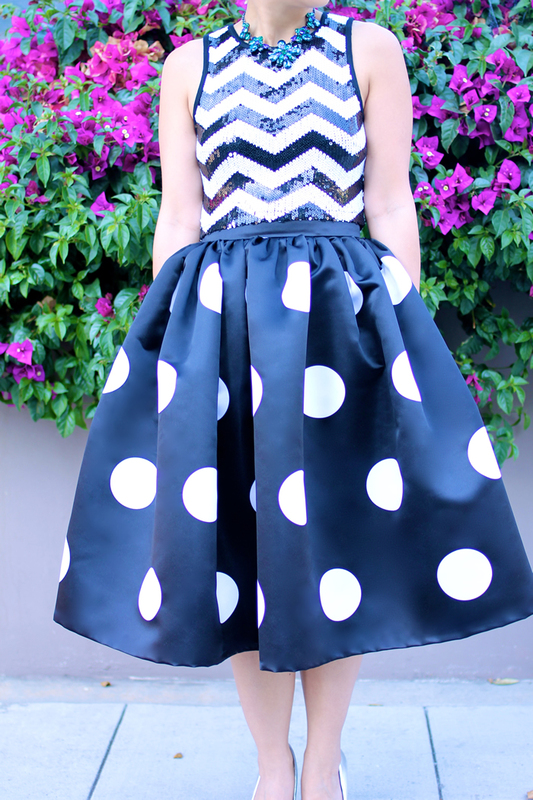 One winner will be selected for this customized polka dots midi skirt next Monday, November 4th and I will contact you via email with detail information if you are the winner. Cant wait for the final announcement! I am crazy in love with this skirt!!! 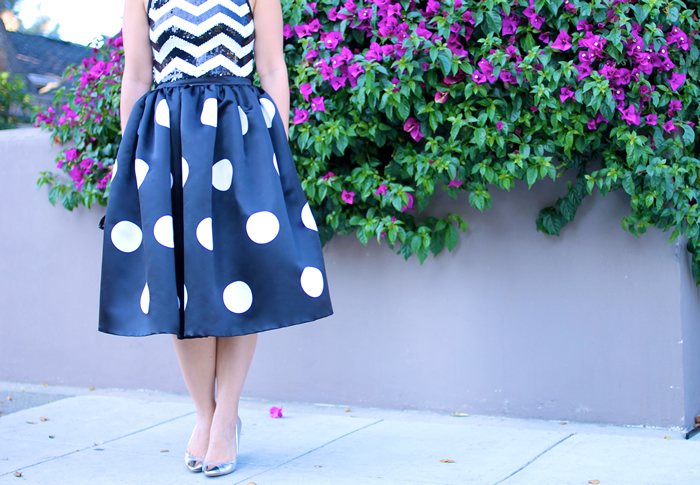 I am obsessed with polka dots! Love this skirt! !